Good used DRIVER side rear vent window motor assembly 2001-2007 Dodge Caravan and Chrysler Town and Country minivans. 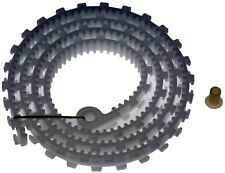 Part has been tested and works great, shows minimal wear. Quality OEM part. Simply send a. Good used PASSENGER side rear vent window motor assembly 2008-2015 Dodge Grand Caravan and Chrysler Town and Country minivans. Part has been tested and works great, shows minimal wear. Quality OEM part. DODGE CARAVAN EXT. 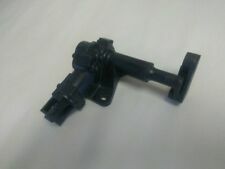 RH REAR WINDOW ACTUATOR MOPAR 4445968 NOS 1987-1993. Factory Original OE OEM, 45 Day Replacement Warranty!! DODGE CARAVAN EXT. 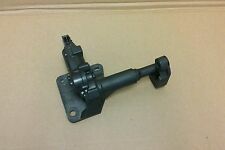 LH REAR WINDOW ACTUATOR MOPAR 4445969 NOS 1987-1993. 2008 to 2016 DODGE GRAND CARAVAN. Dorman Window Lift Motors are new and d irect fit. Motors typically burn out due to failures of the Window Regulator or from wearing of the brushes, armature, bushings or gears. FR LH SLIDING DOOR WINDOW MOTOR #11795 1011795-C6-10F. CARAVAN 08-17 front door, 2 pin, L. CARAVAN 08-17 rear door, L. TOWN & COUNTRY 08-16 front door, 2 pin, L. TOWN & COUNTRY 08-16 rear door, L.
Trending at $54.07eBay determines this price through a machine learned model of the product's sale prices within the last 90 days. 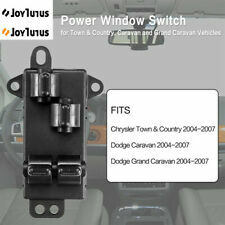 New Mopar Liftgate Release Switch. Fits 2001 to 2008 Dodge Caravan. Fits 2001 to 2008 Chrysler Town & Country. 24 Months Warranty at any Chrysler, Dodge, Jeep & Ram Dealer across the US! These fees are. (D) MAKE 100% CERTAIN THAT THE PART YOU ARE PURCHASING IS INDEED THE PROBLEM WITH YOUR CAR. Grand Caravan. 4 Cyl 2.4L, 6 Cyl 3.0L, 6 Cyl 3.3L, 6 Cyl 3.8L, Electric Motor. 4 Cyl 2.4L, 6 Cyl 3.0L, 6 Cyl 3.3L, 6 Cyl 3.8L. Base, LE, SE. CARAVAN 08-10 front door, 6 pin, R. FR RH WINDOW MOTOR #11426 1011426-B1-6F. TOWN & COUNTRY 08-10 front door, 6 pin, R. - The second level quality part. It is of average miles and normal condition for its age. Chrysler Trucks Voyager 2003-2003. Dodge Trucks Caravan 2007-2003. Dodge Trucks Grand Caravan 2007-2003. 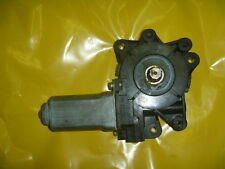 REMANUFACTURED FACTORY WINDOW LIFT MOTOR (ONLY FITS OEM FACTORY REGULATORS). Chrysler Trucks Town & Country 2007-2003. FR LH DOOR WINDOW REGULATOR TRAY #10625 1010625-C4-4B. CARAVAN 08-17 (electric), L. - The third level quality part. - The second level quality part. It is of average miles and normal condition for its age. RR LH DOOR WINDOW REGULATOR TRAY #10617 1010617-C4-2B. CARAVAN 08-17 (electric), R. - The third level quality part. - The second level quality part. It is of average miles and normal condition for its age. Whether you're paying for a meal at a drive-thru or enjoying some free air conditioning on a hot day, rolling down your Dodge Caravan's windows is an important function of your van. In some instances, being able to roll down your minivan's windows is even a matter of safety. That's why it's so important to keep your Dodge Caravan's auto glass raiser in great condition at all times. What are the features of a Dodge Caravan's window motor? Your Caravan's auto glass raisers are packed with features that make them quick and easy-to-use. Powerful: If you've ever enjoyed a scenic vista through the windows of your Caravan, you'll appreciate how large the glass in your van is. All that glass is heavy, so a powerful motor is required to quickly raise and lower your windows as you need. Your minivan's power motor is powerful enough to raise and lower the large glass panes without damaging other components or creating a safety problem. Quiet: The last thing you want to happen while driving your Dodge Caravan is for a noisy power motor to distract you while driving. Your Dodge Caravan's auto window assemblies are precision-engineered to run with as little friction as possible, resulting in smooth and quiet operation use after use. Durable: Replacing your Dodge Caravan's power motors requires a decent amount of work, so you want to be sure they will last as long as possible. From the casing to the gears, and everything in between, your Dodge Caravan's power window motors are designed to last, using low-friction designs and high-strength materials. How do you replace a window motor on a Caravan? Remove the window and lock switches by prying out the clips holding them in place and then disconnect the electrical harness on the back of the switches. Remove the interior door panel by removing the two screws holding it in place and then pry around the edges to release the clips. After it has come loose, remove all electrical and lock rod connections still attaching it to the door. Remove the speaker by removing the screws holding it in place and then remove the water barrier by slowly peeling it away. 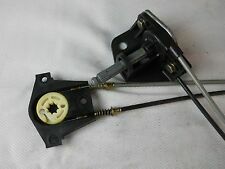 Next, remove the power window motor by prying out the plastic clips holding it in place and removing the three bolts holding it to the window regulator and then disconnect the electrical harness. Install the new motor by attaching it to the regulator by re-installing the bolts that hold it in place and then re-install the clips that hold the motor in place. Re-install the water barrier, the speaker, the interior panel, and the lock and window switches by reversing the procedure listed above.